Ned's got you! 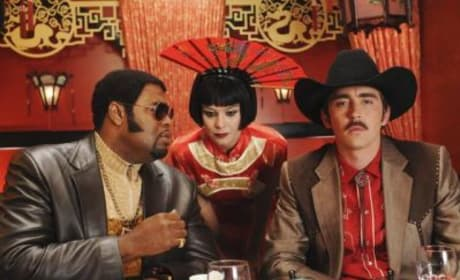 Olive is caught by her dream man in this Pushing Daisies scene. Don't worry, Chuck. It's okay. Emerson has your back. Fred Willard guest stars on this Pushing Daisies episode. Here's a look at him with our two favorite stars. We get to know Ned's brothers a lot better in the episode "Oh Oh Oh It's Magic." Here's a look at the family. Check, please! 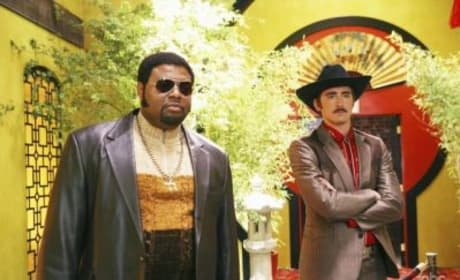 Emerson and Ned try to fit in and solve a case in "Dim Sum, Lose Some." 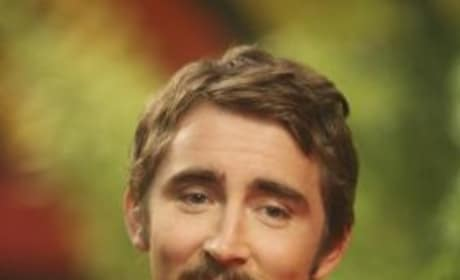 Do you prefer Ned with a mustache? Or without any facial hair? We've seen Emerson and Ned often go undercover. But these have to be their best outfits do date, don't they? A man with a gun stands off to the side. And many Asian women sit in the middle, as Emerson and Ned are held hostage. 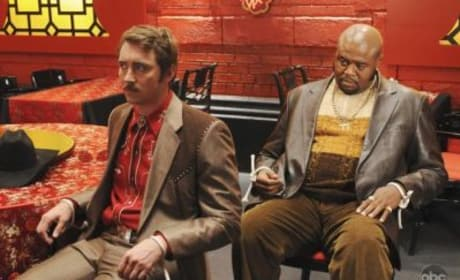 Emerson and Ned are tied down in this photo from "Dim Sum, Lose Some." We can't get enough of that witty title. Emerson and Ned look amazing. 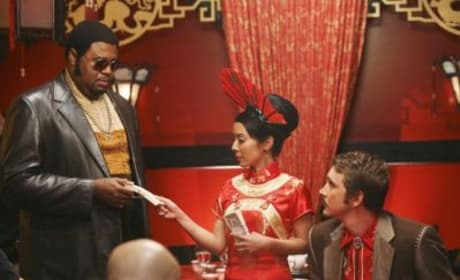 This is a scene from the episode "Dim Sum, Lose Some." 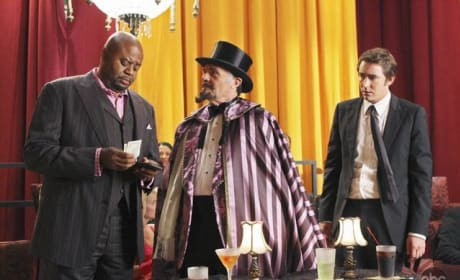 David Arquette is the ideal guest star on Pushing Daisies. 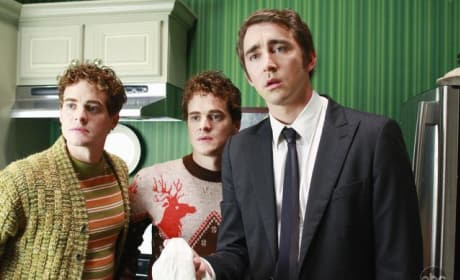 He's seen here alongside characters Ned and Emerson. Emerson knows how to pick a lock. It's a pre-requisite for any private investigator, really.